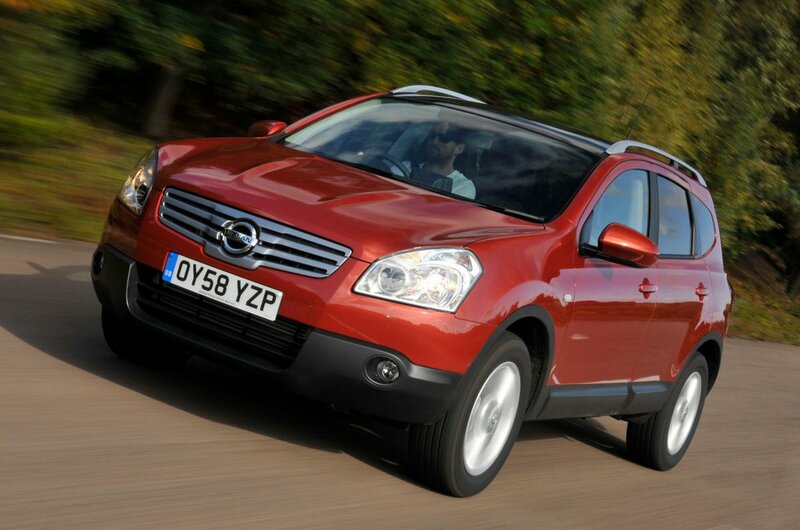 What's the used Nissan Qashqai+2 hatchback like? It would be hard to find someone at this stage that has not owned, driven or ridden in a Nissan Qashqai, so enormously popular has the Sunderland-built SUV been. With the Nissan Qashqai+2, the car was stretched to offer more interior space and two extra seats that could be folded flat into the boot floor when they weren’t needed. In practice, it’s very similar to its five-seat stablemate. The extra weight makes little difference to the handling or performance, although the extra length between the front and rear wheels does improve the ride quality marginally. Overall, the Qashqai+2 is a good car to drive, with a precise feel to the steering and agile responses. Keep the third row seats folded and the boot is slightly bigger than the standard Qashqai’s, which is itself far from small, but the seats themselves are cramped, and they’re hard to get to because there’s only a small gap to clamber through.